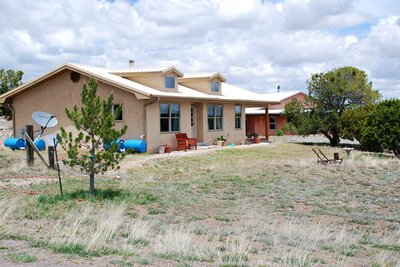 Reduced from $750,000 to $699,000! 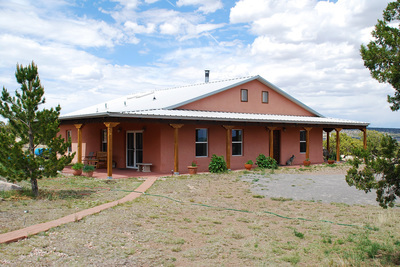 Make this ranch your own B&B, horse or hunting property. 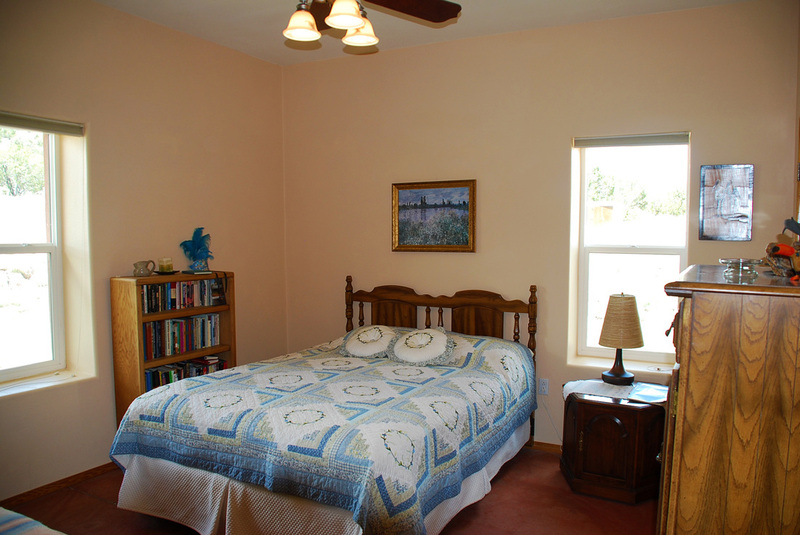 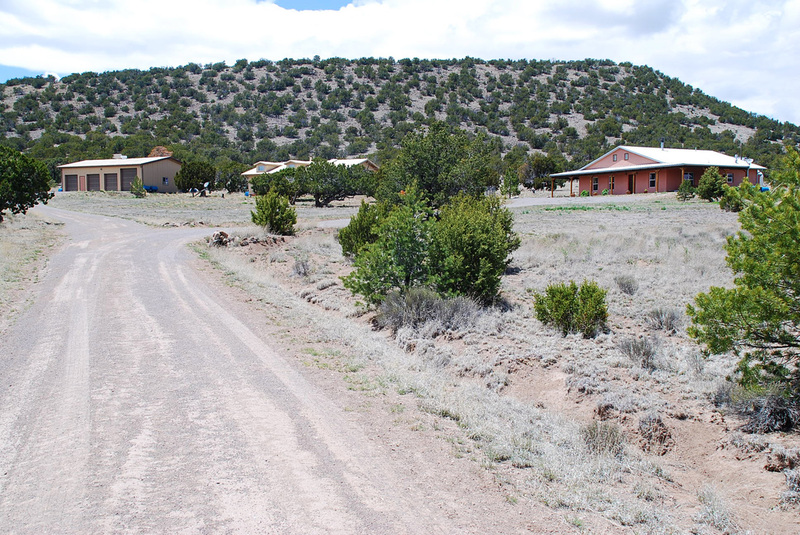 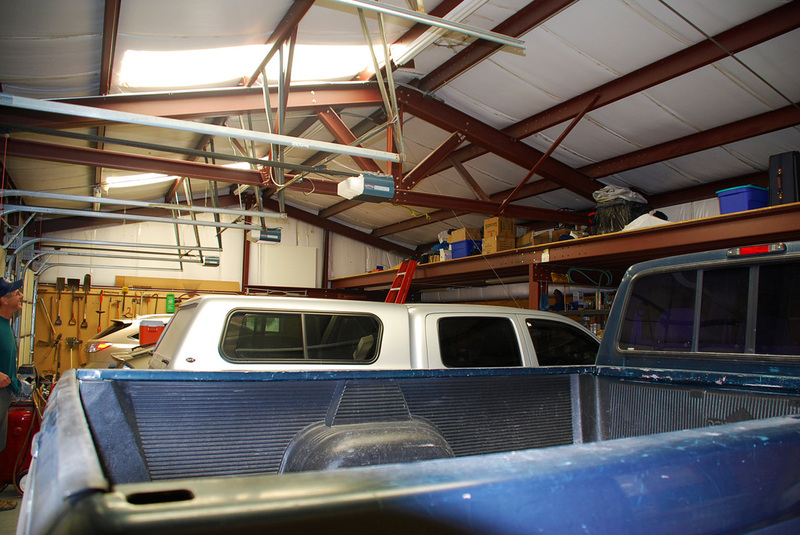 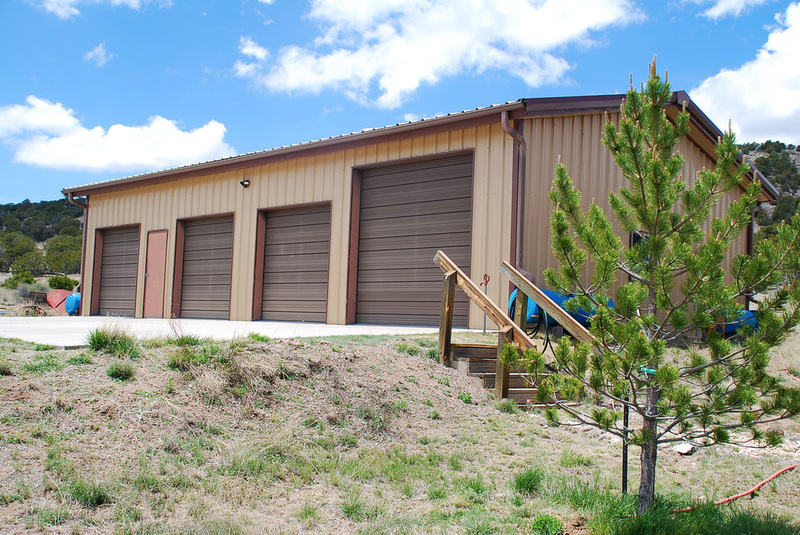 Located only 15 miles from the town of Quemado which offers everything you'll need from 1st grade through High School education, medical services, two motels, two gas stations, a grocery store, and a hardware store, a post office, and several denominational church services. 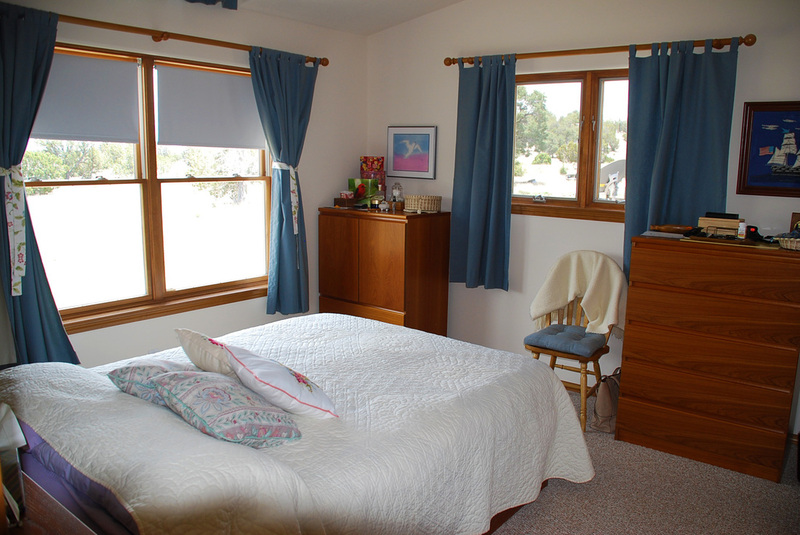 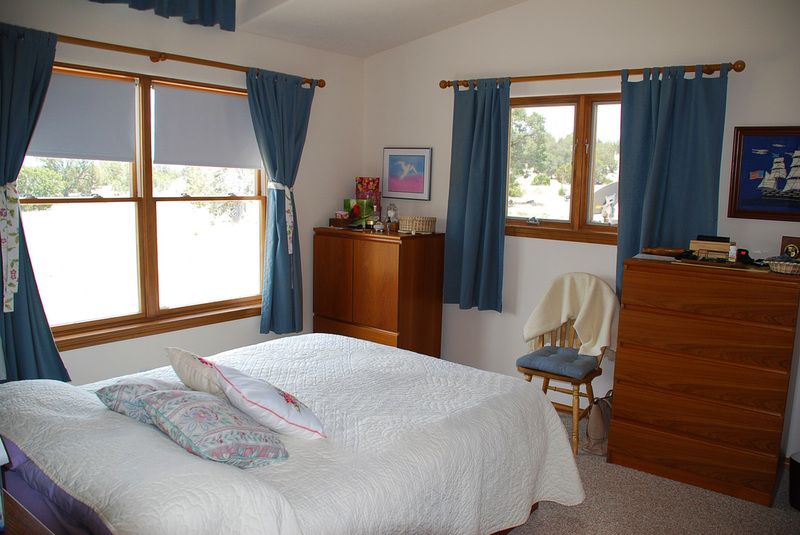 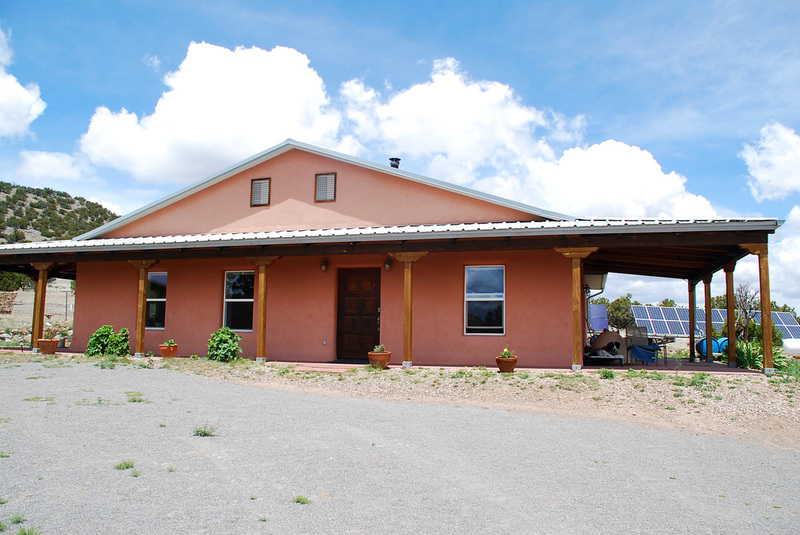 The MAIN HOUSE is a 1,936 square foot and permitted straw-bale house on slab which was completed in 1999. It is heated throughout by radiant floor heat which is supplied with hot water from passive solar panels which supply ample hot water for all water usages. 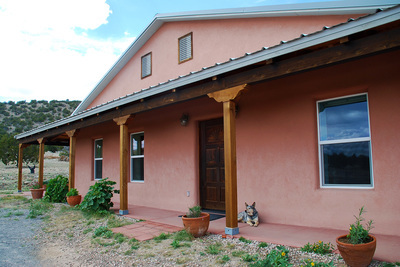 The house has thermal windows and like-new stucco on the outside. 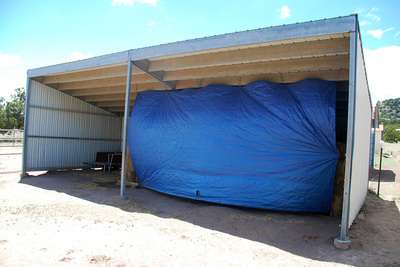 An 8 foot covered porch wraps around the south and east sides of the house. 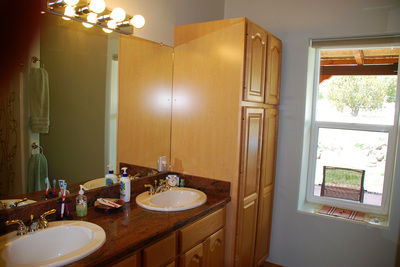 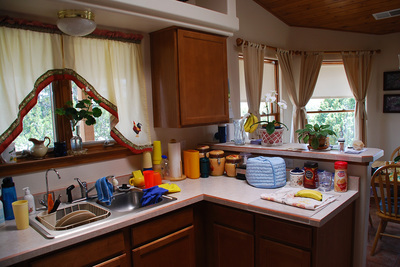 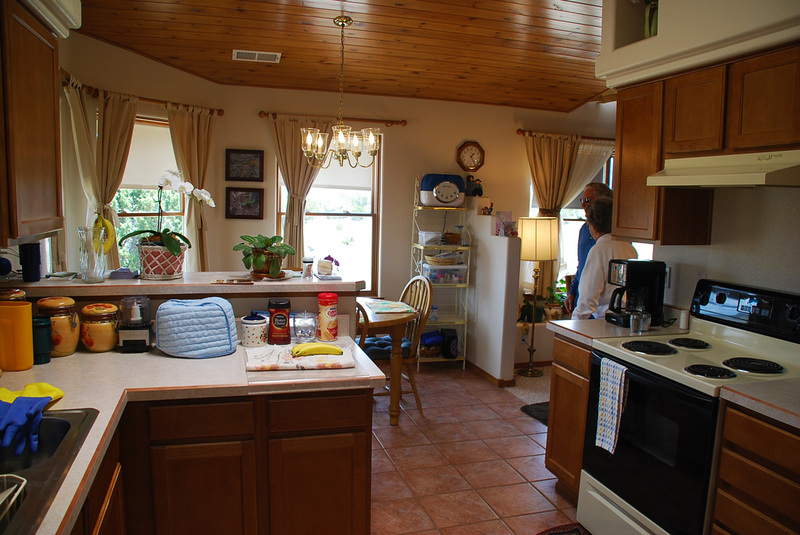 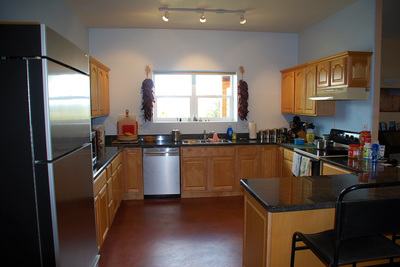 The kitchen features granite counter tops and custom cabinets. 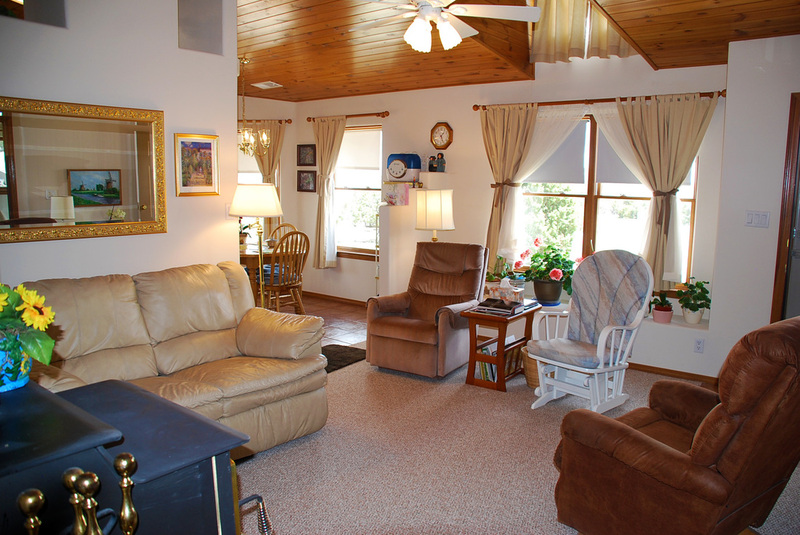 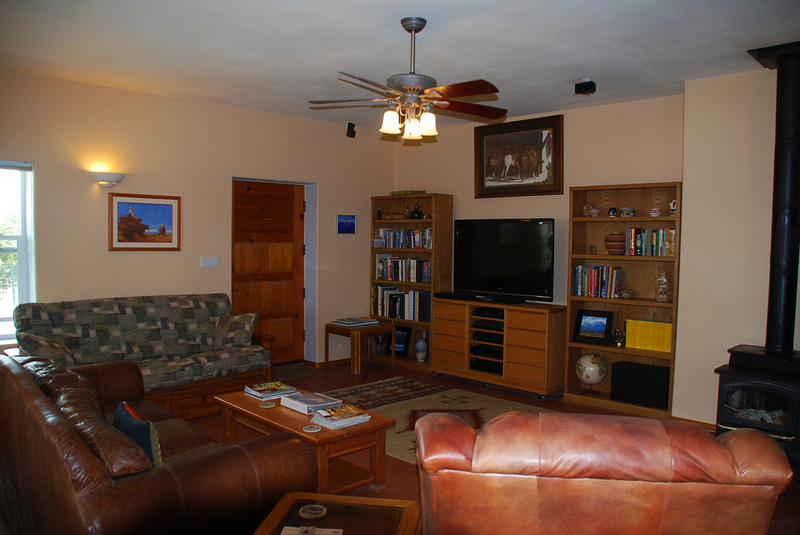 Enjoy the views from this very spacious living room, comforted by a large wood burning stove. 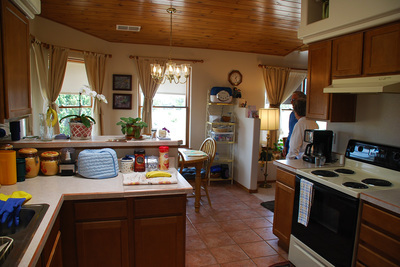 The kitchen, living and dining areas are all connected in one open space. 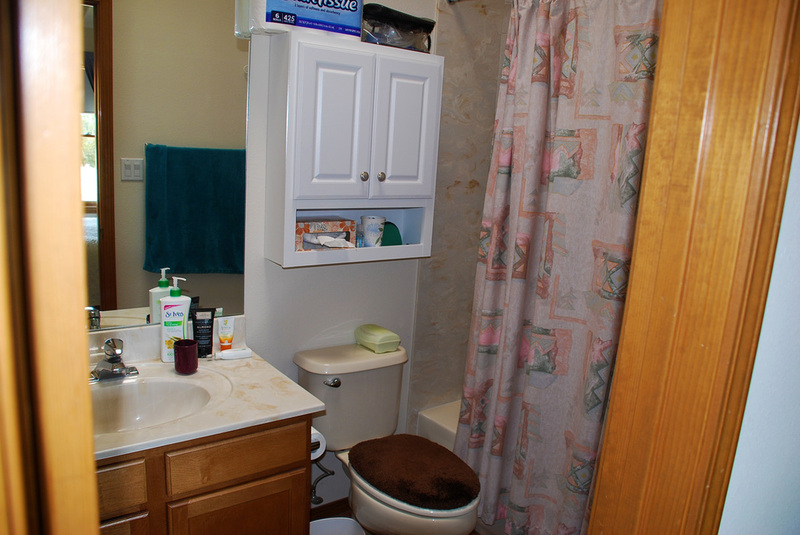 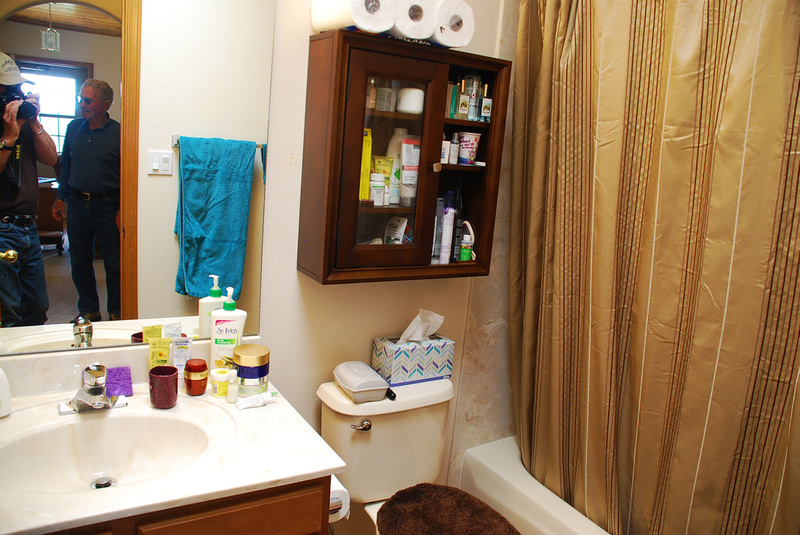 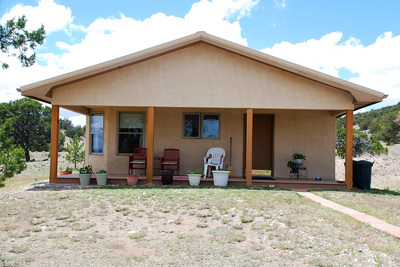 This house has two bedrooms and one full and one half bath. 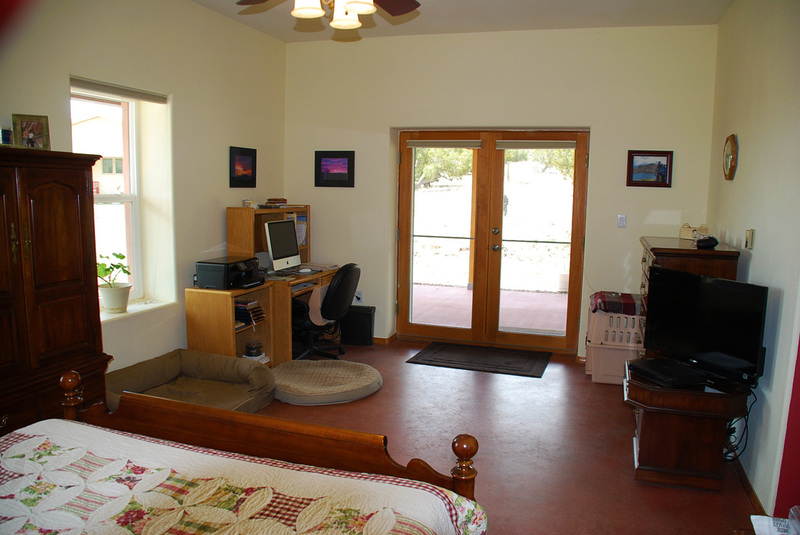 Across the yard from the main house is a 1,000 square foot GUEST HOUSE. 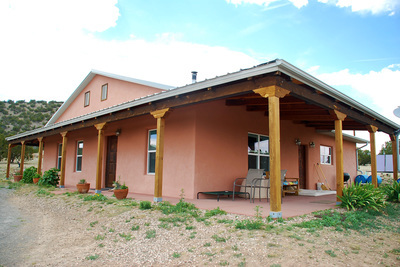 It is a 2"x6" stick built prefabricated and permitted home on foundation with stucco siding. It was completed in 1998. 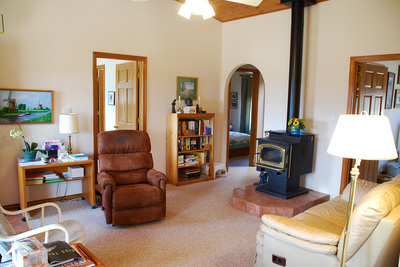 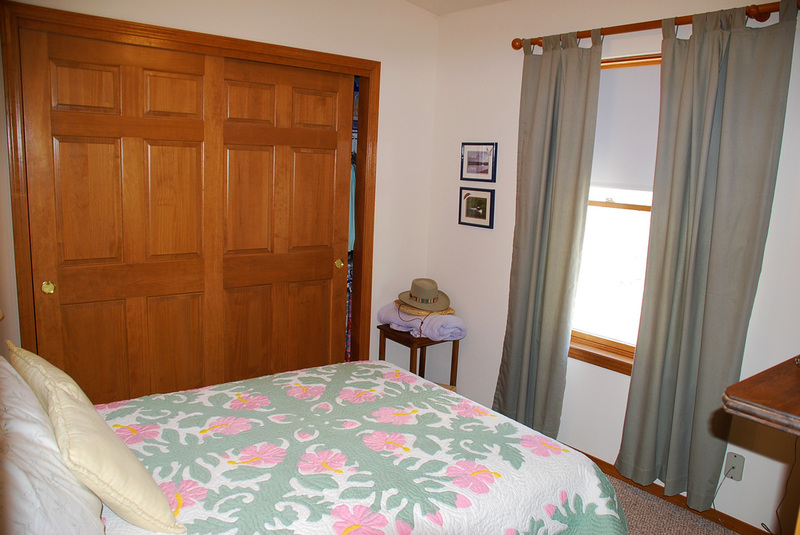 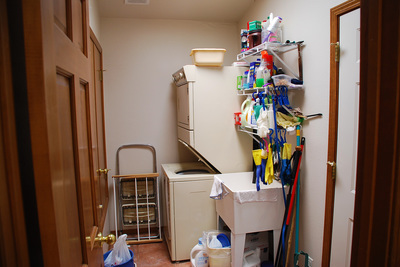 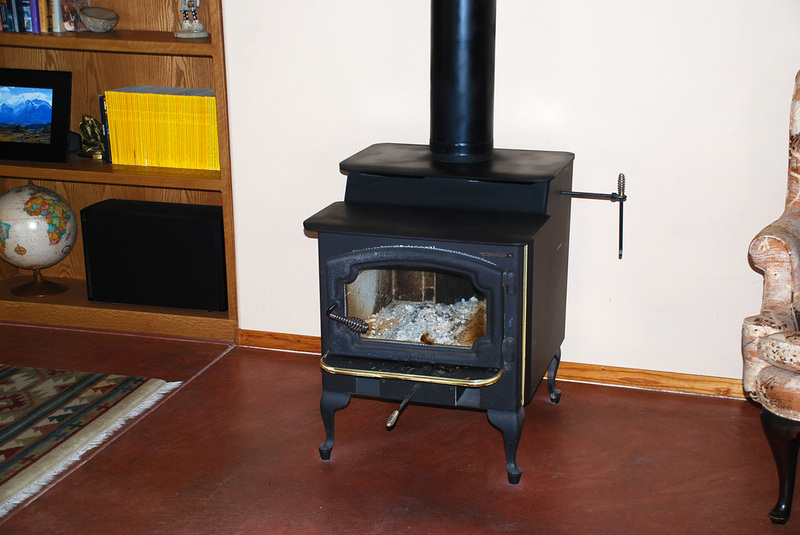 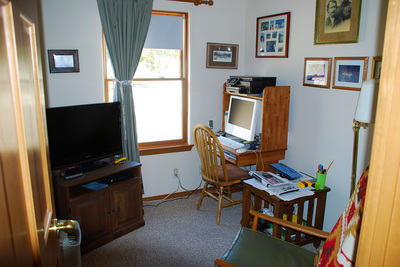 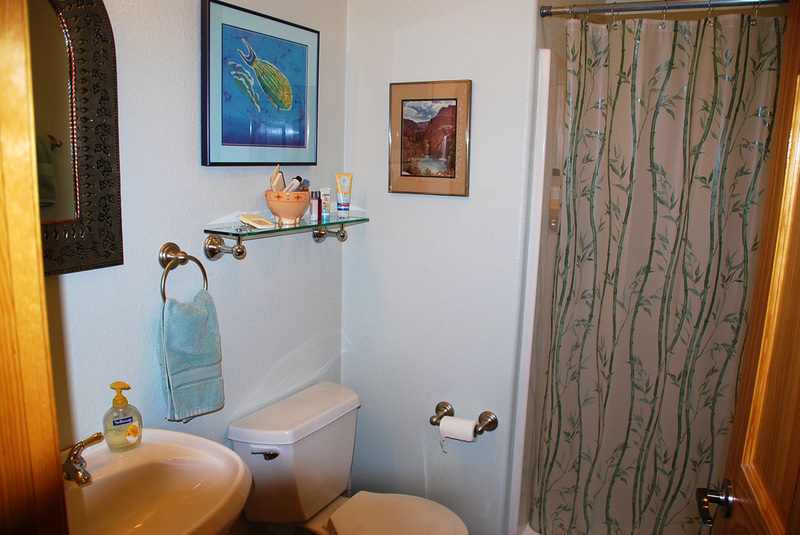 This house has two bedrooms and a study, and two full baths, and it is centrally heated by a propane forced air furnace. 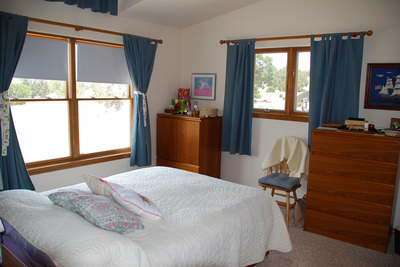 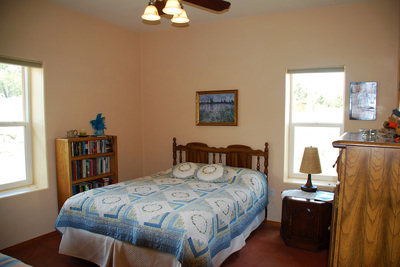 Floors are carpet and tile, this home has like the main house been kept like in excellent condition and lends itself perfectly as an in-laws home or guest house for vacationers, hunters, a bed & breakfast accommodation or if you want to run an equestrian training center on this ranch, this house will serve your guests well. 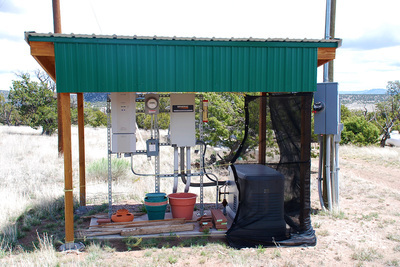 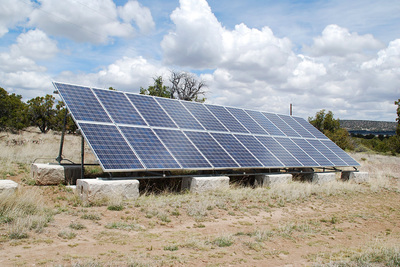 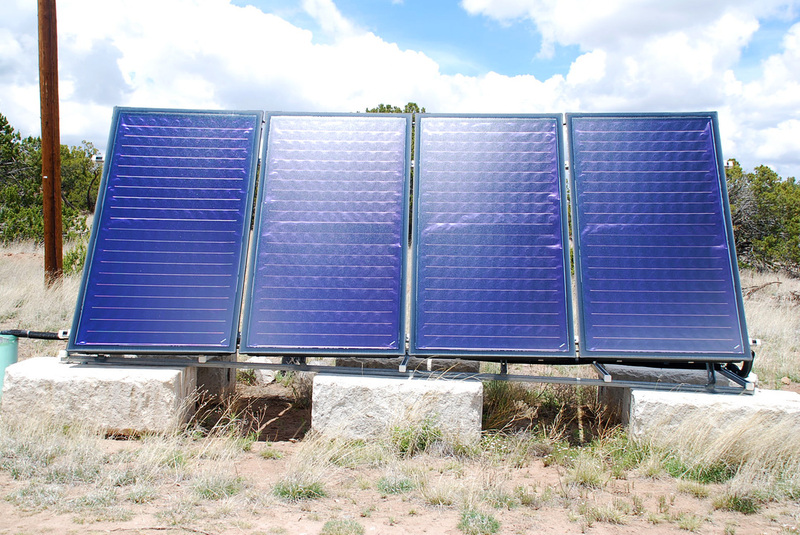 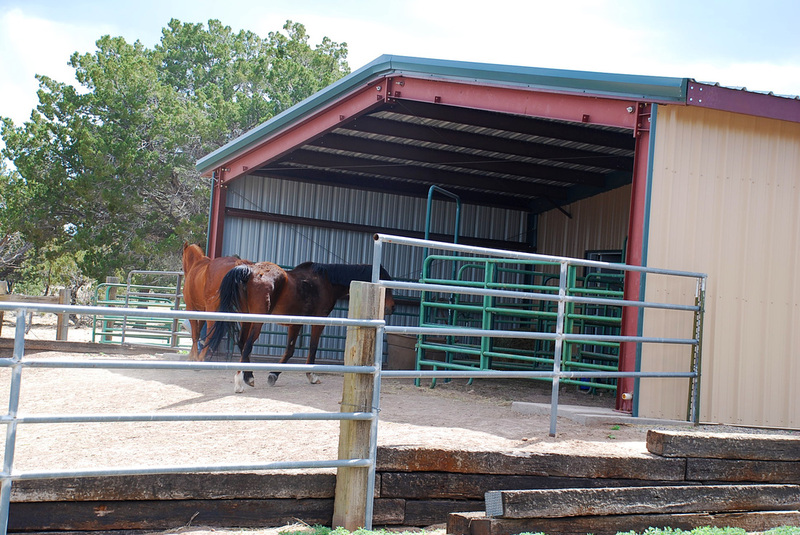 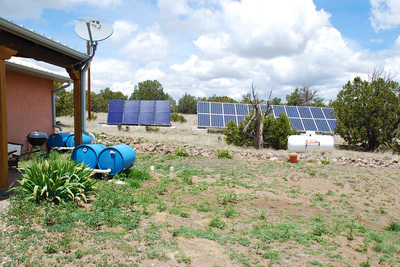 The ranch is set up with SOLAR POWER that supplies and sells power back into the public grid. 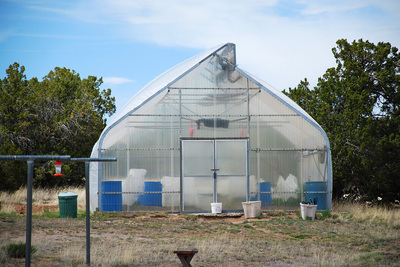 To the north of both houses sits a 18'x21' GREENHOUSE of industrial grade which supplies the owners with an ample supply of vegetables. 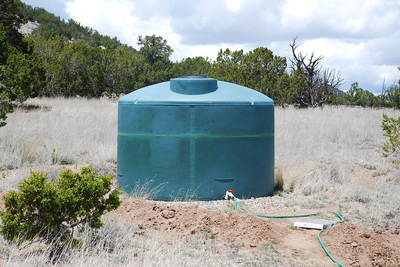 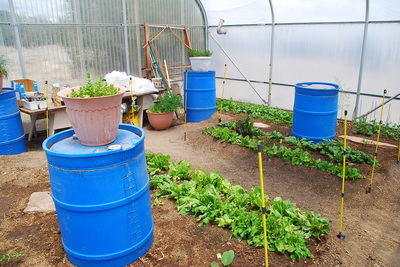 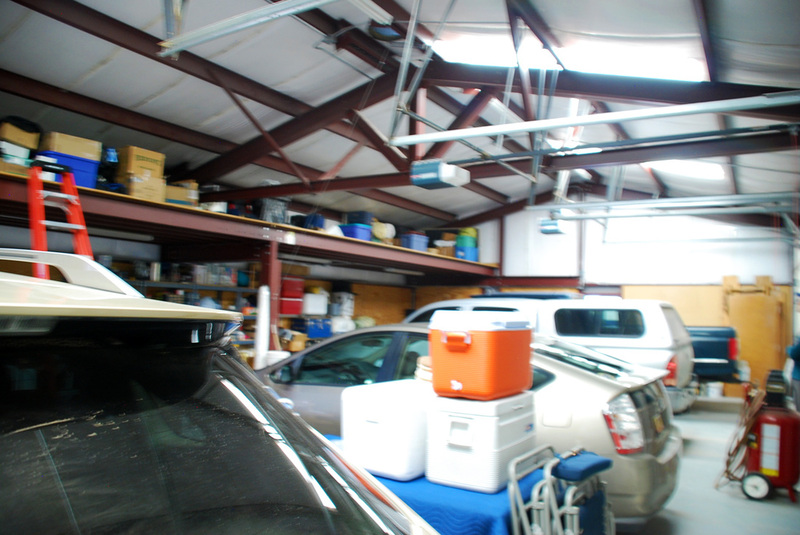 RAINWATER is collected from the roofs of the residences and pumped into a 1,200 gallon storage tank. Set back between the guest house and the main house is a 30'x50' detached 4-CAR GARAGE with automatic doors and a loft storage area inside which spans the entire length of the garage, 8 feet deep. 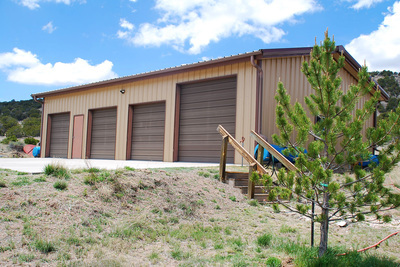 This building is wired for 220V. 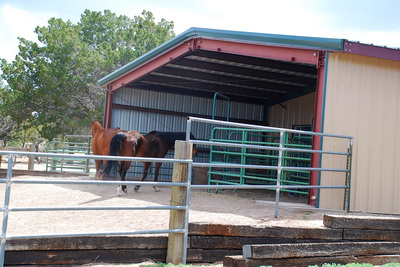 The HORSE FACILITIES are in excellent shape also, all metal construction. 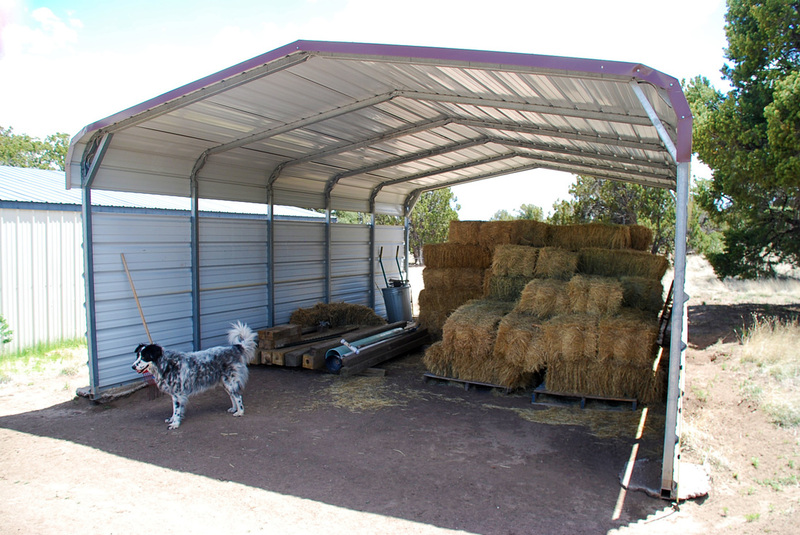 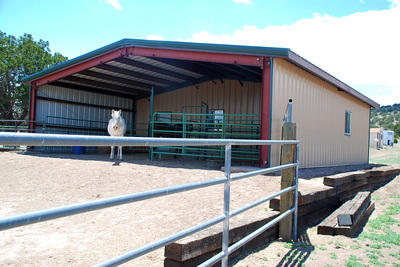 There is a 35'x40' HORSE BARN which includes a 20'x35' tack and storage room, a 32'x14' HAY BARN, an 18'x26' EQUIPMENT BARN. 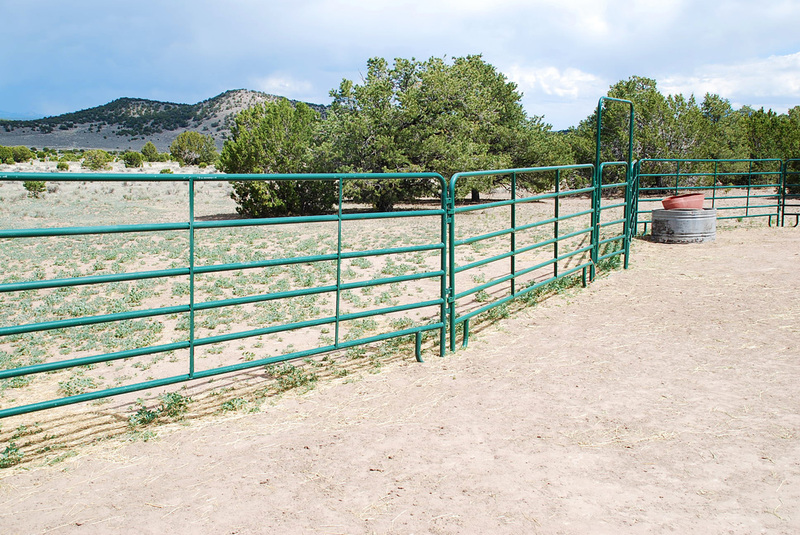 The CORRALS are pipe fenced. And not to forget, there is a Tuff Shed CHICKEN COOP with run and a fenced-in dog run between the barns and the houses. 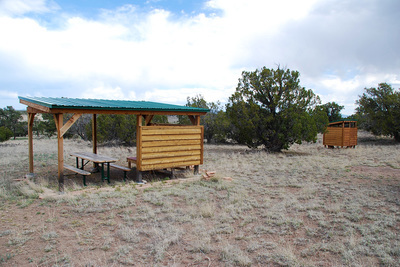 To top it off, about a half mile north from the establishments is a CAMP SITE fully equipped with wooden platform to set up an African safari style tent, covered sitting area, and and outhouse. 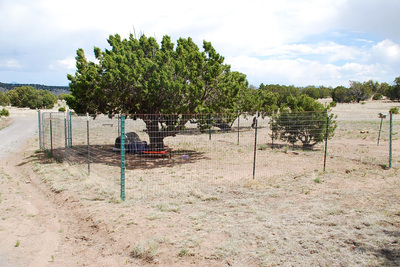 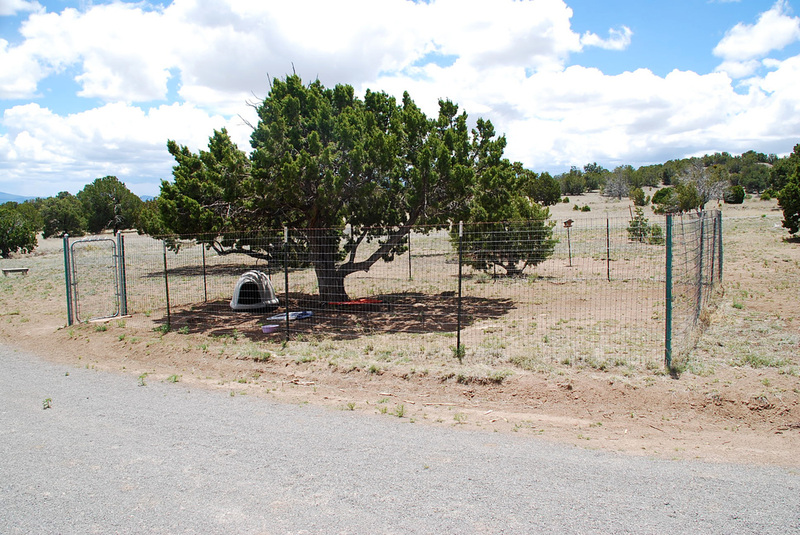 The entire ranch is fenced all-round, and cross-fenced into two pastures. 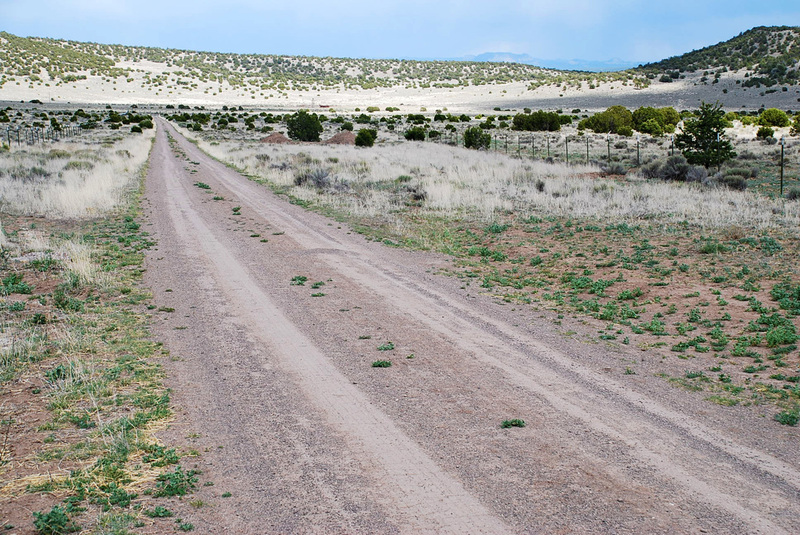 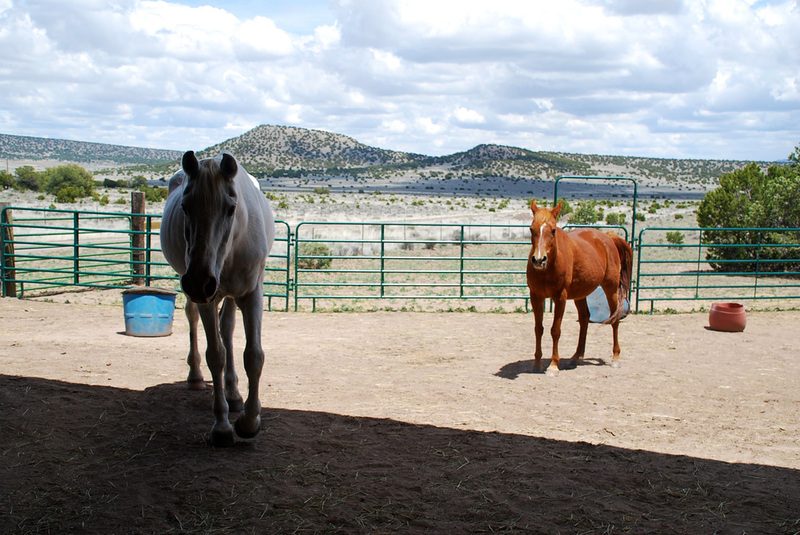 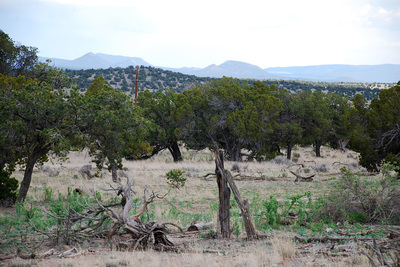 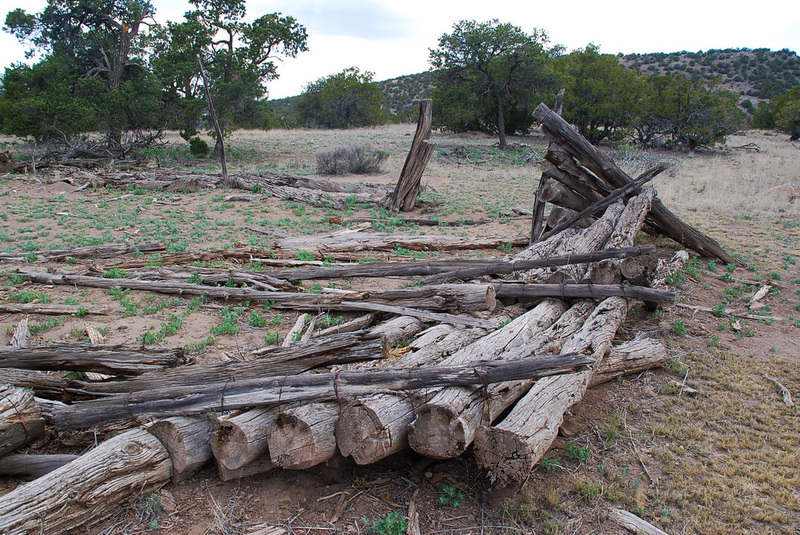 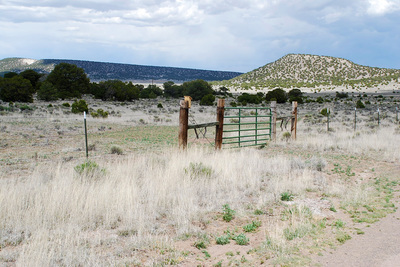 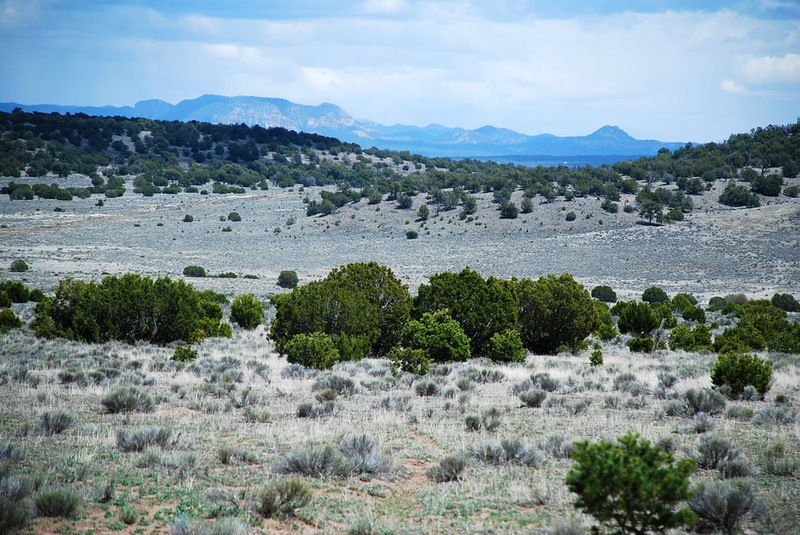 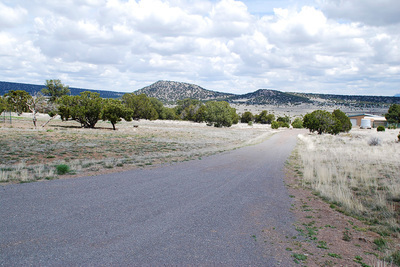 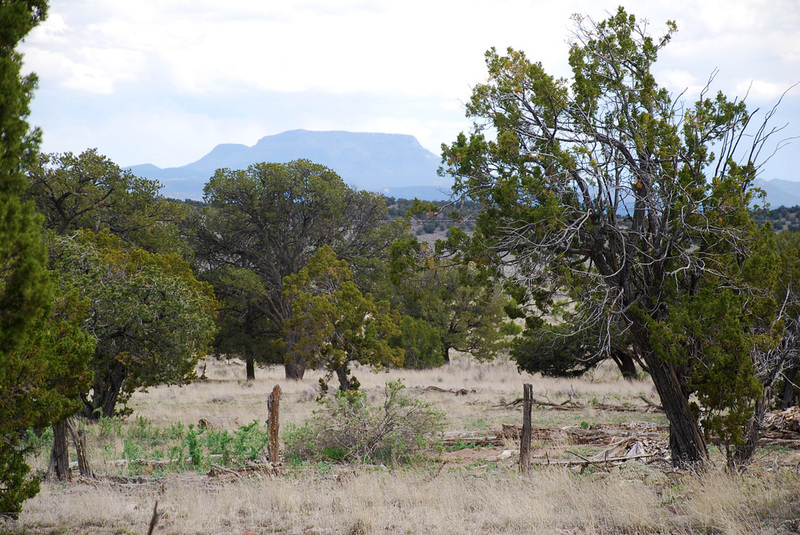 Adjacent to the east is a section of New Mexico State land, and to the north-east corner of the ranch sits BLM land which allow for lengthy trail rides. 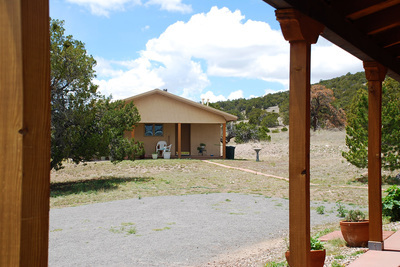 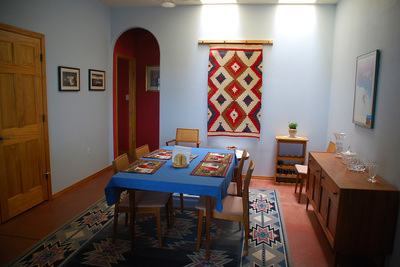 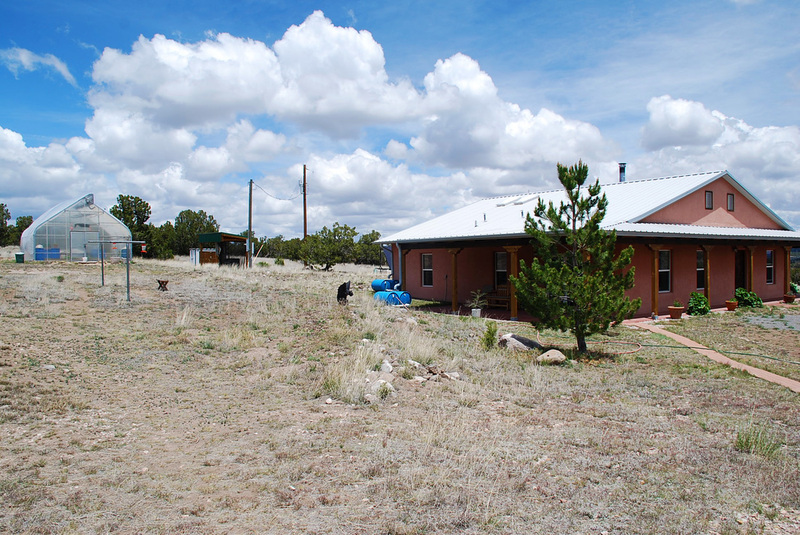 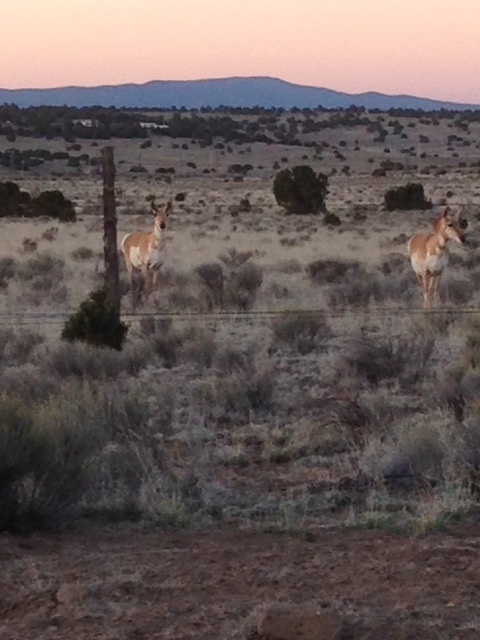 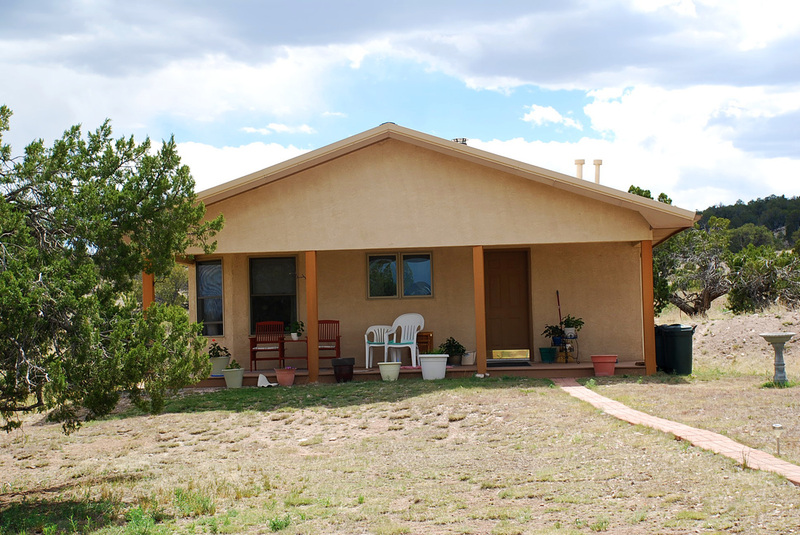 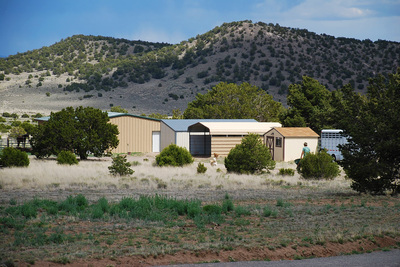 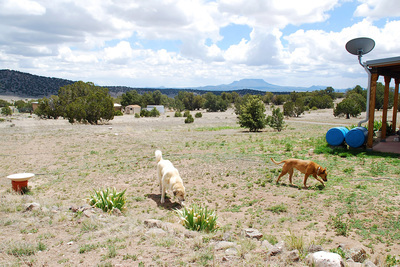 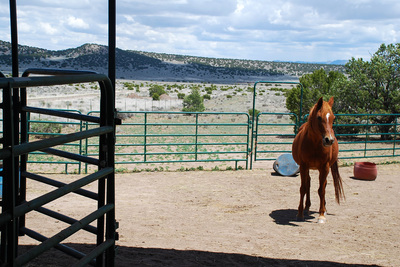 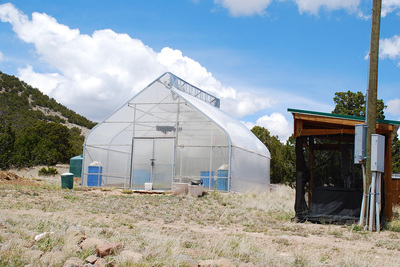 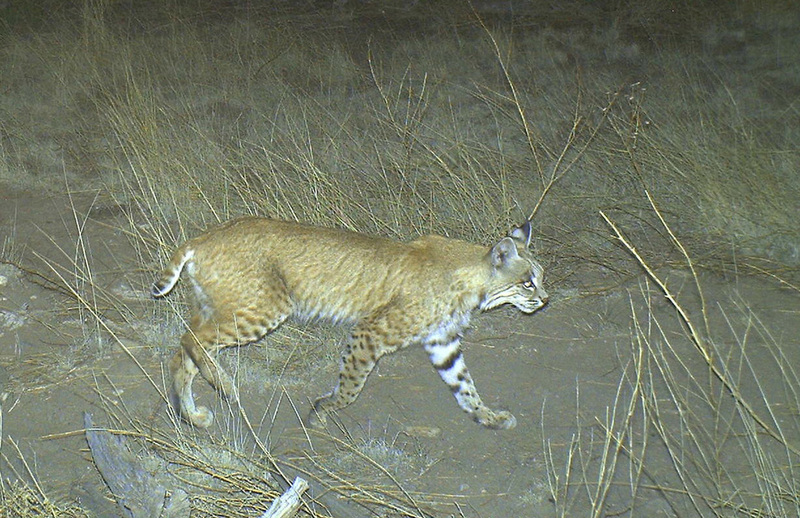 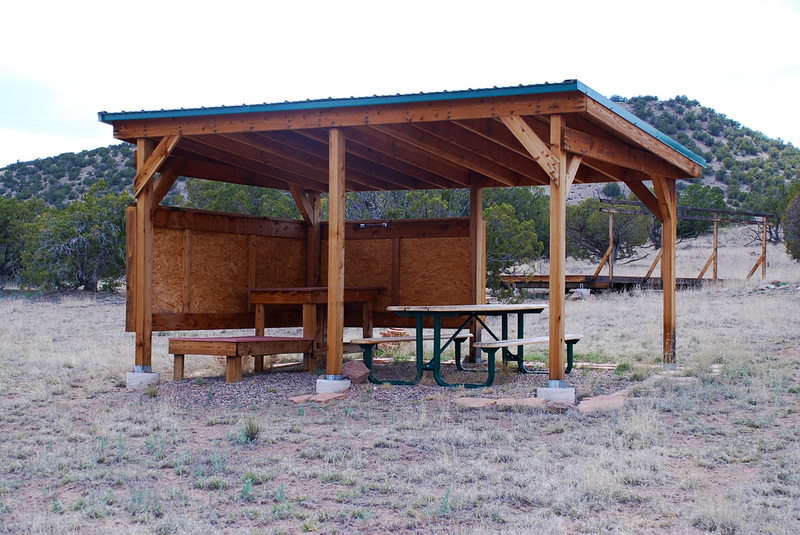 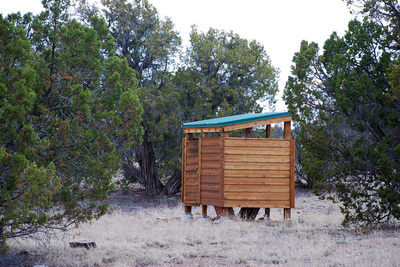 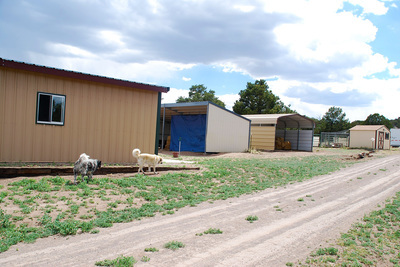 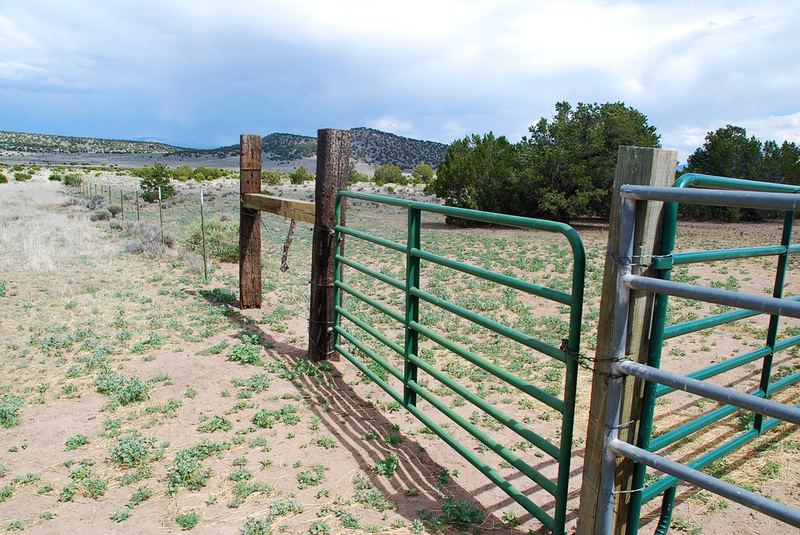 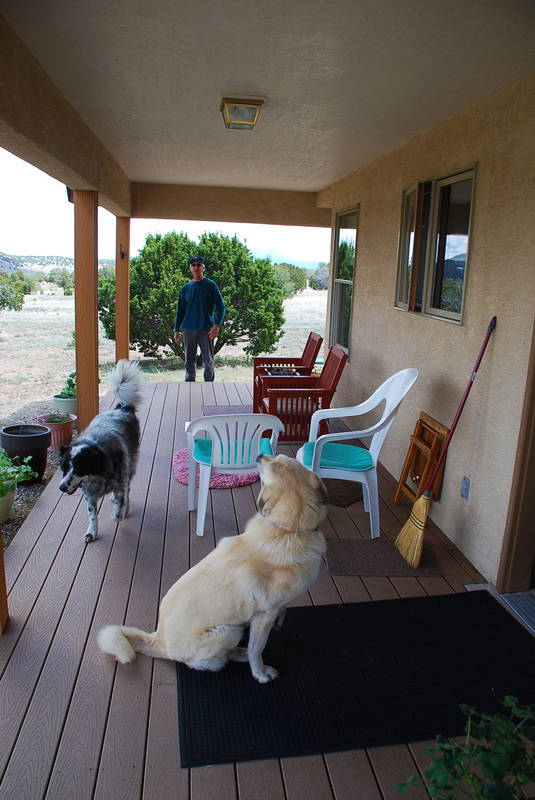 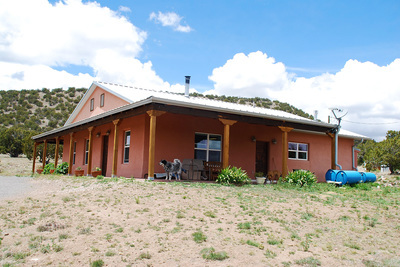 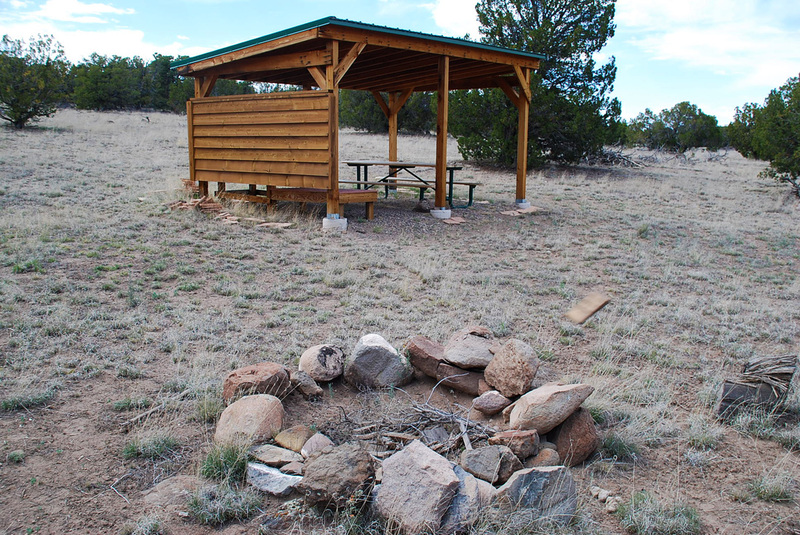 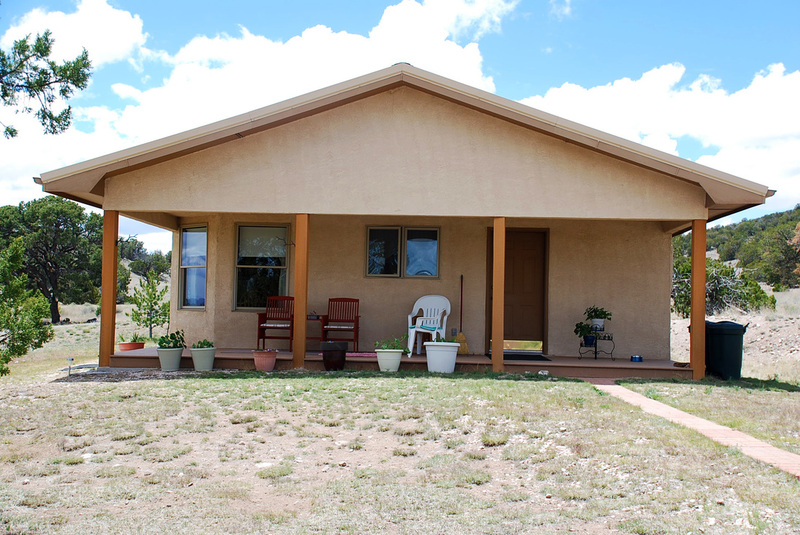 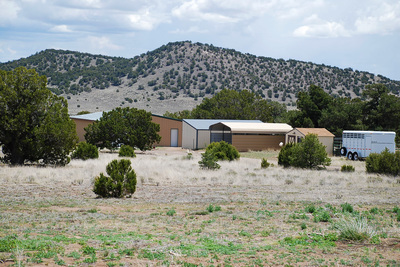 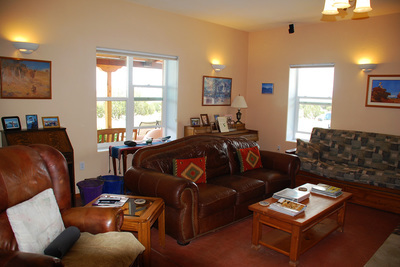 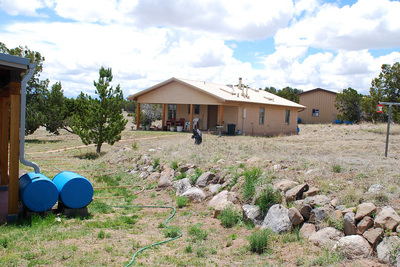 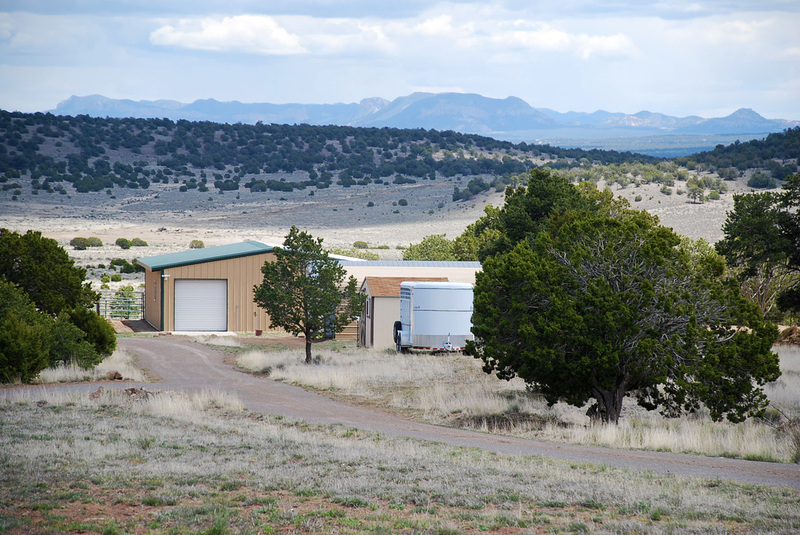 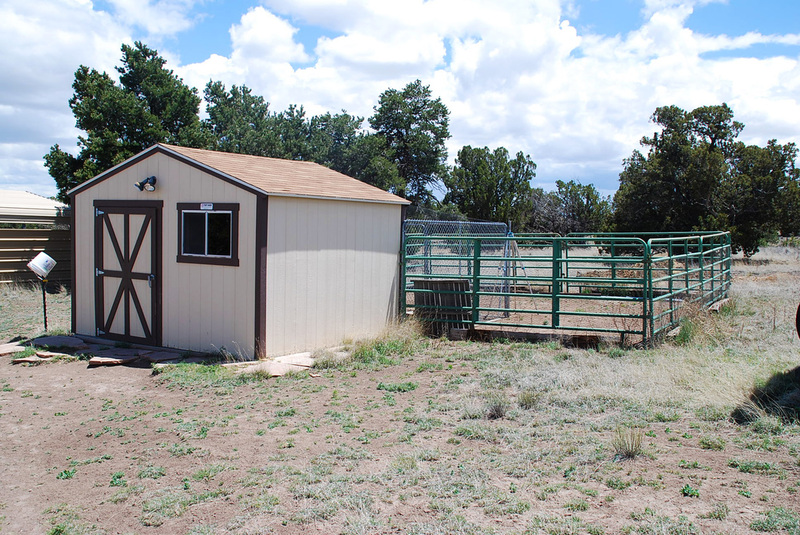 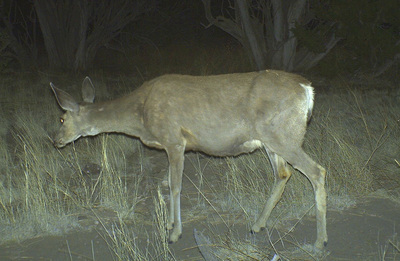 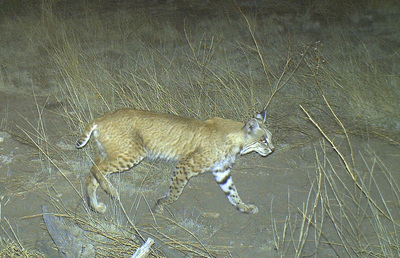 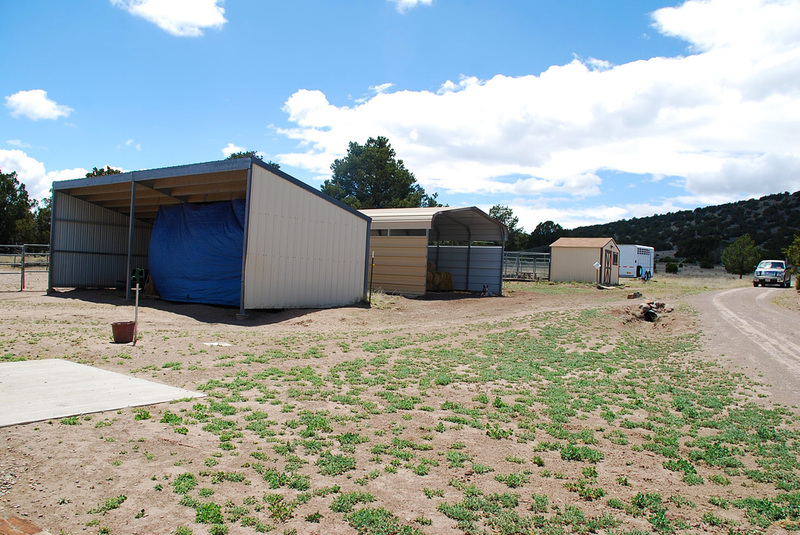 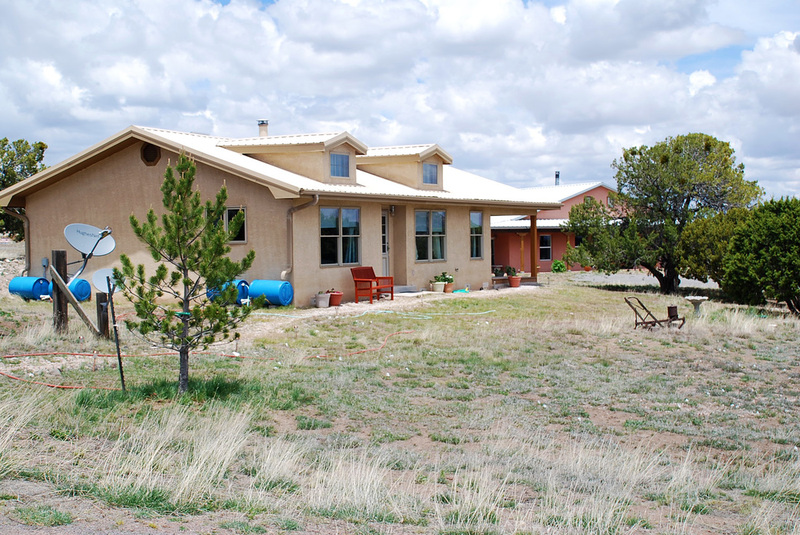 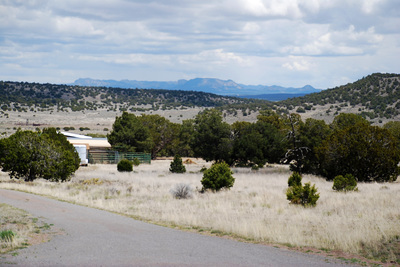 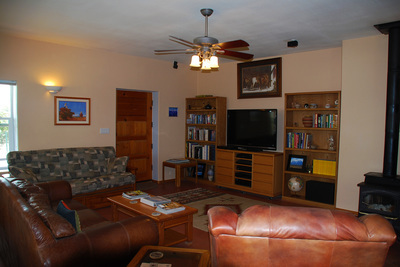 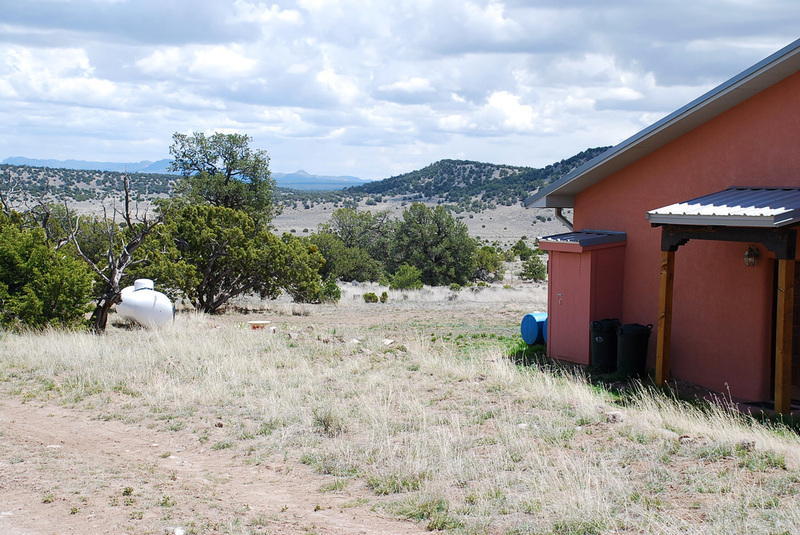 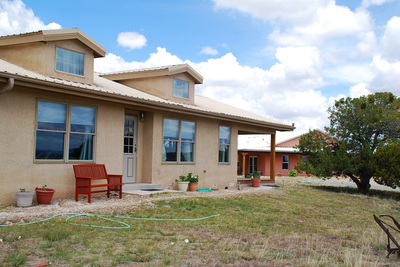 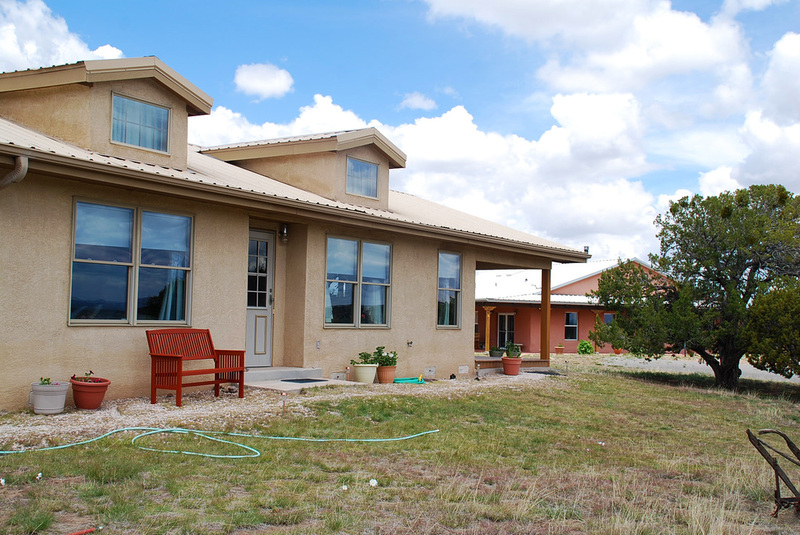 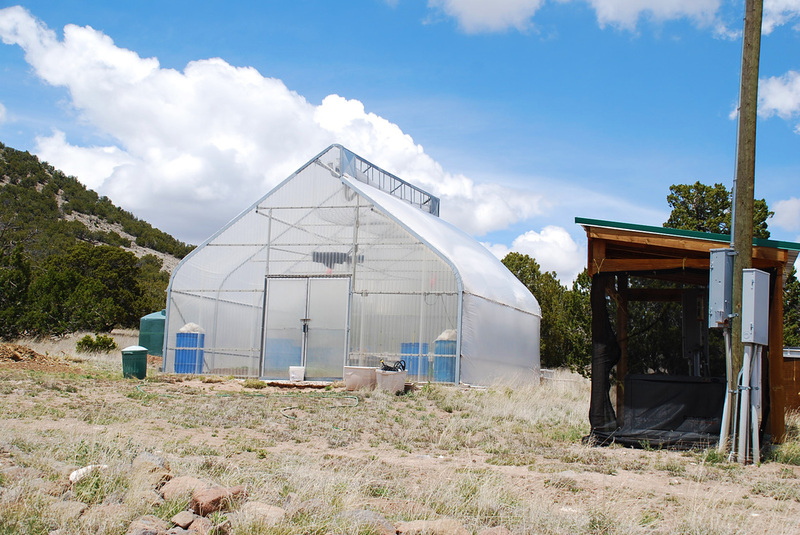 Considering the well-maintained facilities being offered on this ranch, its off-grid capability, the possibility to hunt on your own property by obtaining land-owner tags from New Mexico Game and Fish, and the option to grow your own food in a large greenhouse, this ranch is for all those who enjoy an independent and natural lifestyle.